If you have a mobile number entered for SMS on the customer's record then you will be able to send an SMS text notification from a repair ticket to update the customer on the repair progress. 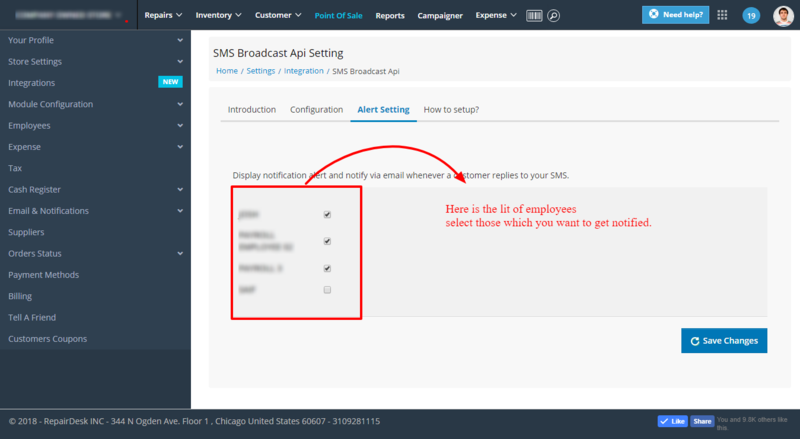 In order to notify customers about repair progress, you will need an account with SMS Broadcast to enable their API. You can setup SMS broadcast API in the settings, by checking the box in front of it and by providing your username and password. At the moment, the service is available for UK & Australian customers. A. A sender ID is an alpha-numeric number, ID or name which helps in identifying the sender of a SMS. A. Certainly. In SMS Broadcast you can use any alpha-numeric number or name as your sender ID as long as it is up to 11 alpha-numeric characters or digits. Q. In which countries SMS Broadcast is available? A. 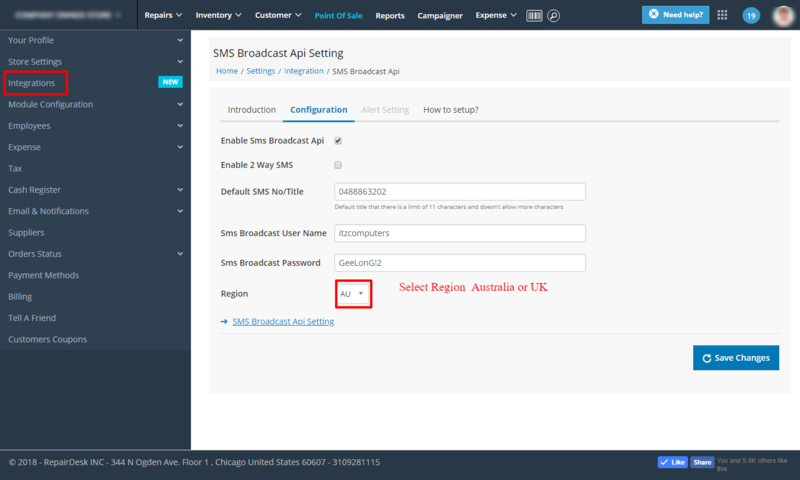 Currently SMS Broadcast is available in Australia and UK only! Q. How can we enable 2 way SMS using SMS Broadcast? A. In order to enable 2 way SMS, enable the checkbox for 2 way SMS. 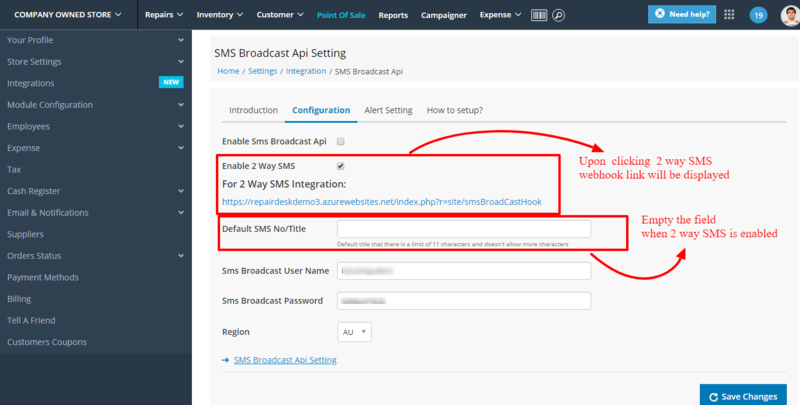 After enabling 2 way SMS a webhook link will be available, share that link with SMS broadcast support service for service activation and empty the field of SMS No/title. once support team replies user and enable 2 way SMS broadcast In Default SMS NO/Title A number will be displayed through which SMS will be sent 2 way. press save changes and you are good to go with 2 way SMS. Q.can I select specific employees who will be notified about SMS? A. Yes, you can select employee which you to get notified. move to alert setting and select the employees you want and press save.